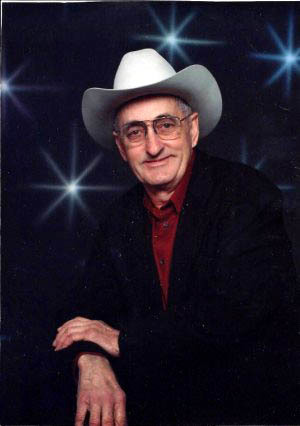 Ferrell Lee "Scratchey" Alsbury, Sr. age 77 passed away Sunday, December 23, 2012 at Higher Call Nursing Home in Quapaw, Oklahoma. He was born on January 26, 1935 the son of Noel & Ella (Marsh) Alsbury. He was preceded in death by his Father, a daughter, Shawnra Alsbury and one brother, Gary Alsbury. He is survived by his wife, Jacqueline (Moore) Alsbury, his mother, Ella Alsbury, 2 sons, Lee Alsbury and his wife Susan, of Fairland, Oklahoma and Marlon Alsbury and his wife Pamela, of Quapaw, Oklahoma, 2 daughters, Sheila Green and her husband Danny, of Quapaw, Oklahoma and Nerissa Quiroz and her husband Trini, of Fairland, Oklahoma. Also surviving are 2 brothers, Doyle Alsbury and his wife Gloria, of Quapaw, Oklahoma and Darrell Alsbury and wife Edna, of Tahlequah, Oklahoma, 10 grandchildren, 10 great-grandchildren and other relatives and friends. Funeral services for Ferrell Lee Alsbury, Sr. will be held 10:00 A.M., Friday, December 28, 2012 at the Paul Thomas Funeral Home in Miami, with Rev. Larry Degonia and Rev. Hiram Price, officiating. Visitation will be held Thursday evening from &7:00 P.M. to 8:00 P.M. at the funeral home. Pallbearers will be Cade Alsbury, Josh Alsbury, Duane Alsbury, Dexter Quiroz, Quinton Quiroz and Koith Quiroz. Honorary pallbearers will be Charles Riggins, Charles Searcy, Larry Gallett, John Crawford and Albert Buzzard. Funeral arrangements are under the direction of Paul Thomas Funeral Home, Miami. Online condolences may be made at www.paulthomasfuneralhomes.com.